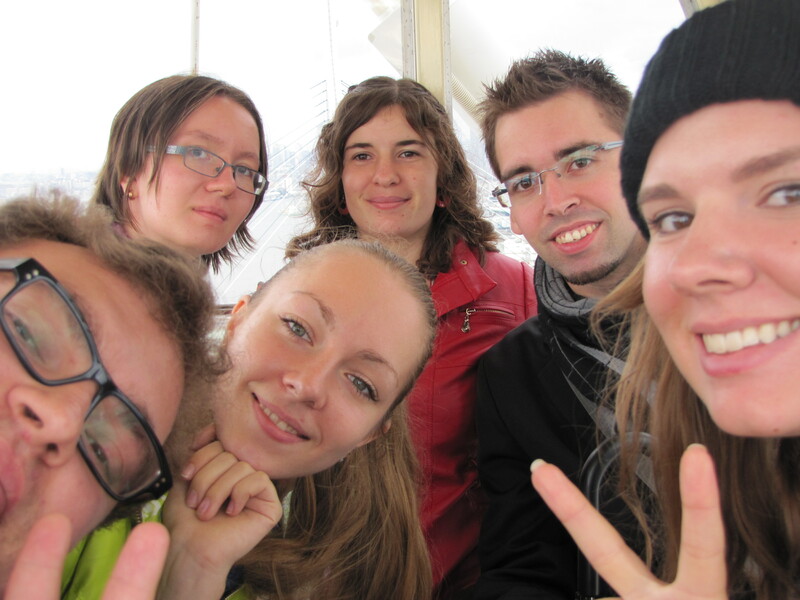 This happened a few months ago now, but I went with the Russian and French students on a trip to Osaka Kaiyukan, or Osaka Aquarium. 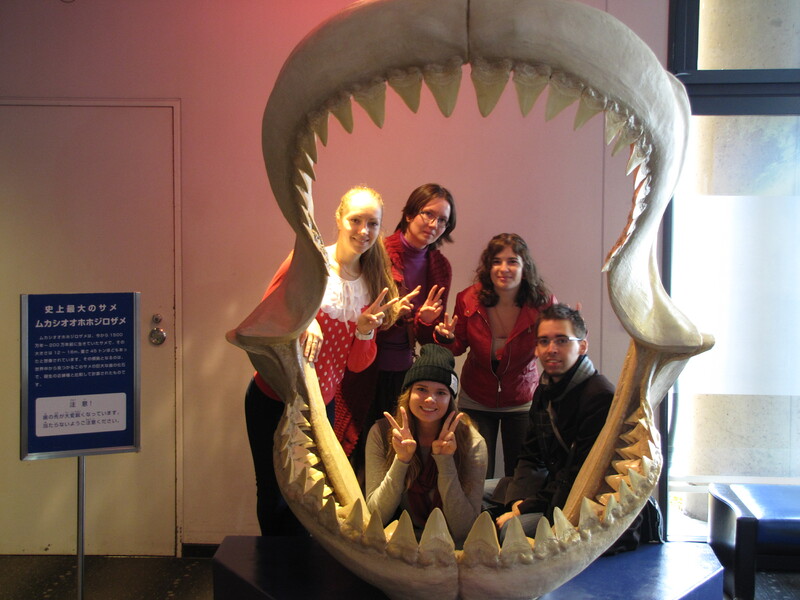 It’s not as famous as the aquarium in Okinawa, but it was still quite fun. So we got there and it was almost immediately difficult to keep track of everybody. Everyone wanted to look at different things, I was loitering around different areas with my camera, and the whole time we were dodging around families and groups of schoolchildren. There were the typical tanks full of fish and sea plants. 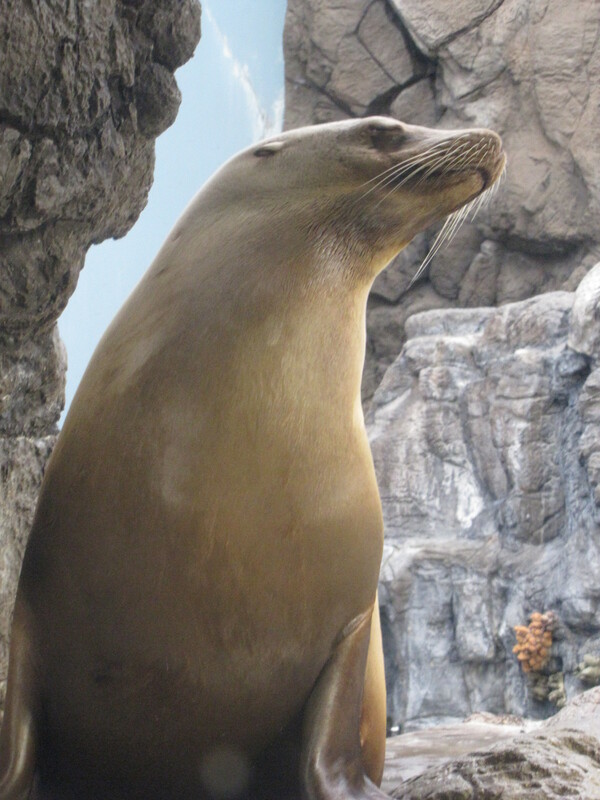 The larger animals included otters, sea lions, penguins, sharks, and porpoises. 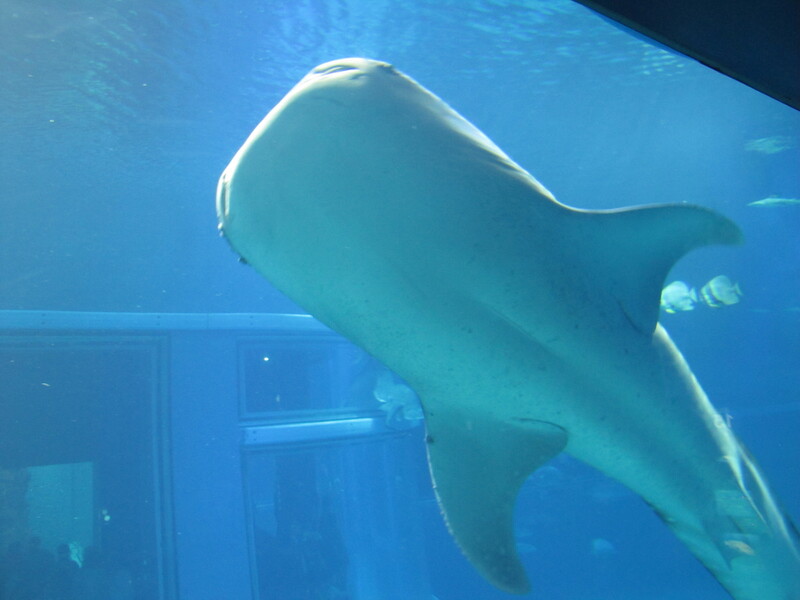 I felt a bit bad for the porpoises–all the tanks were quite deep, but not very wide. They kept swimming in the same circuits, going up and down the tank, so you got the impression that it might not have been big enough. 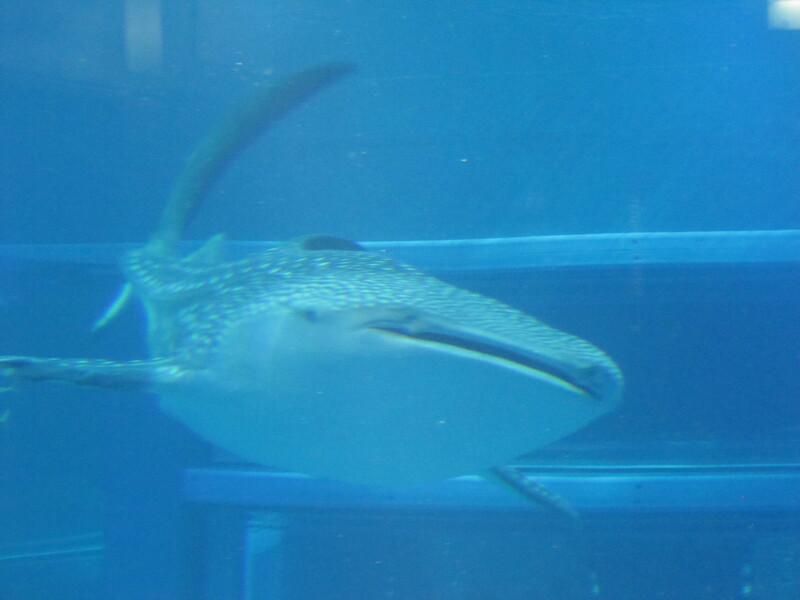 Coming from California, where we have no shortage of aquariums, I wasn’t sure how exciting the aquarium would really be for me, but thanks at least to the whale sharks, I had a lot of fun! 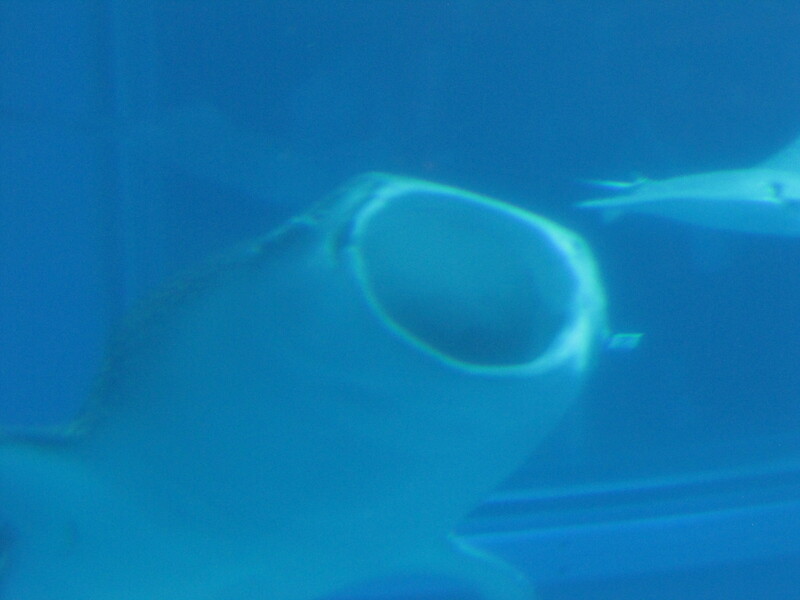 Whale sharks are rare in captivity, and I’d never seen one in real life before. The aquarium was set up so that the main large tank, with the sharks, rays, large fish, and sea turtles, was in the middle and aquarium guests walk in a downward spiral around the main tank, while the smaller tanks were on the outside, and you passed by them multiple times as you descended various levels. And a diver trying to help (?) 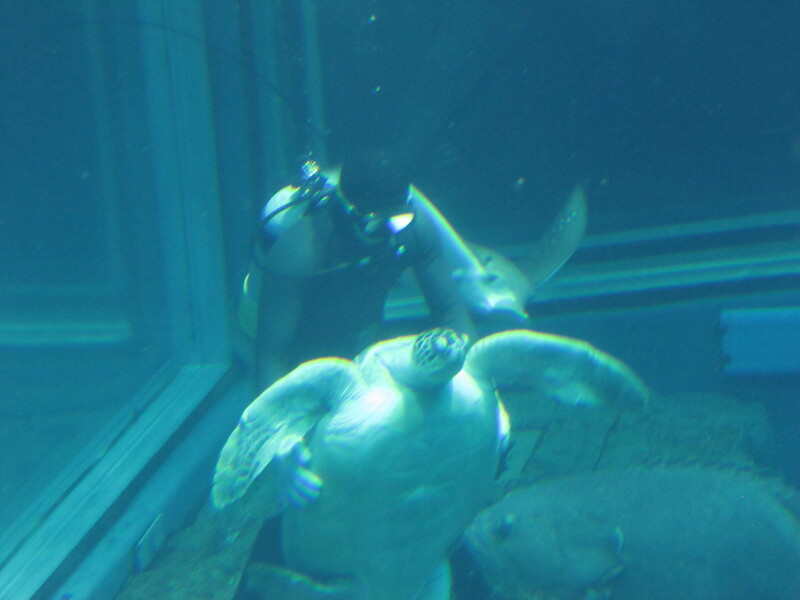 a sea turtle while being molested by a ray. Myself with a ray. They always look so happy! They didn’t have any sort of shows or animal performances like at sea world, so that was basically the end. Though there were a few other tanks, with smaller animals. 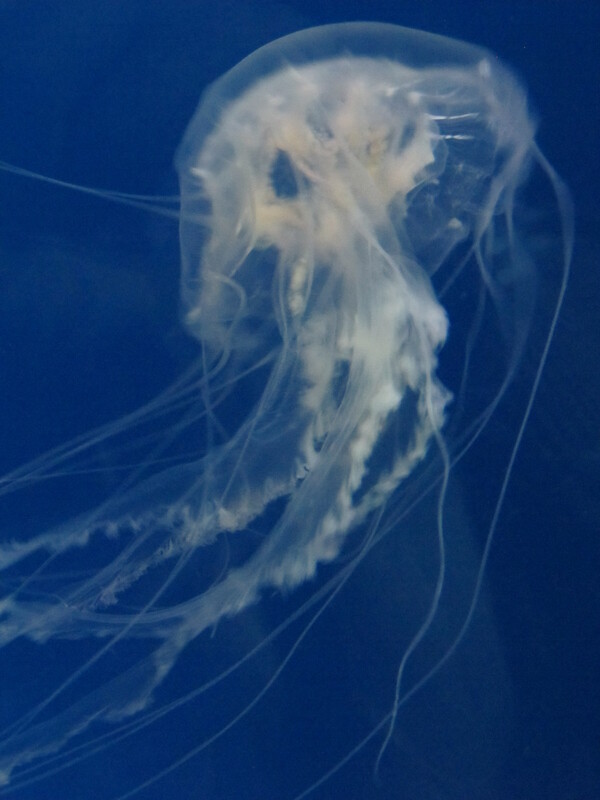 For example, a jellyfish section. 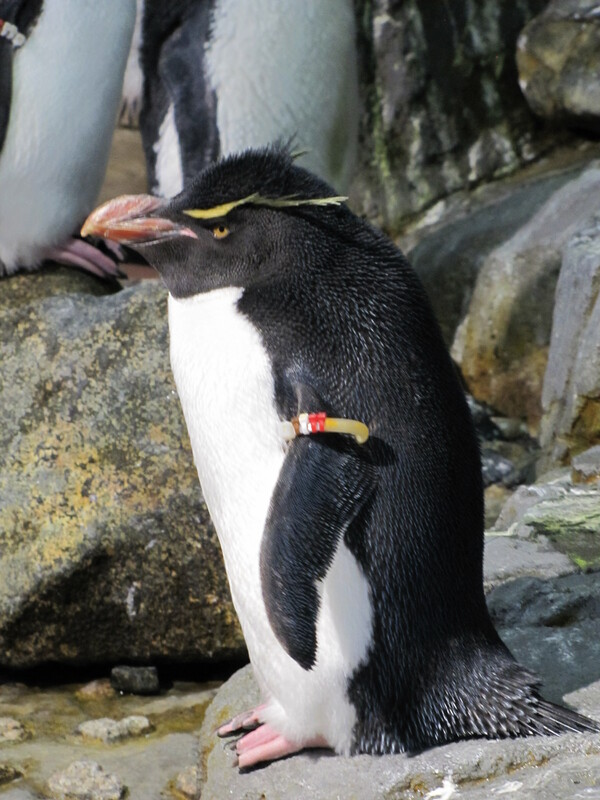 And upstairs, there were more penguins and rays that you could touch. 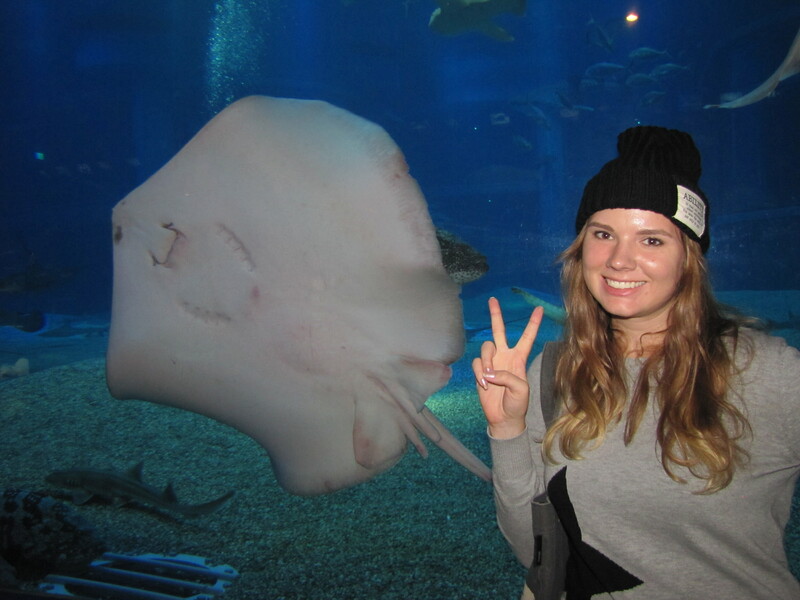 I love petting rays–they’re so slimy! 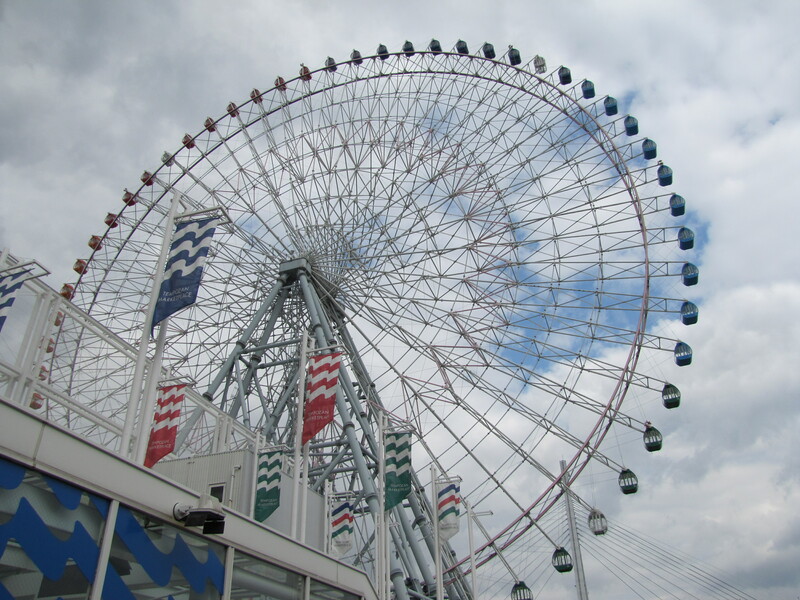 After the aquarium, we went to the nearby ferris wheel, located literally next to the aquarium. We had purchased the tickets for the aquarium and ferris wheel together, since they were cheaper that way (by only about $1). 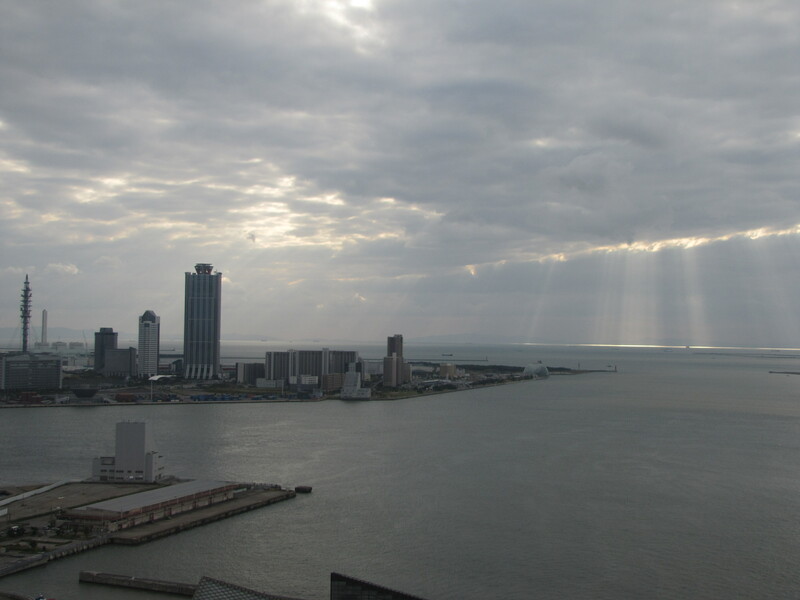 So we went up all together and enjoyed the view. That’s about all I have to say about the aquarium. 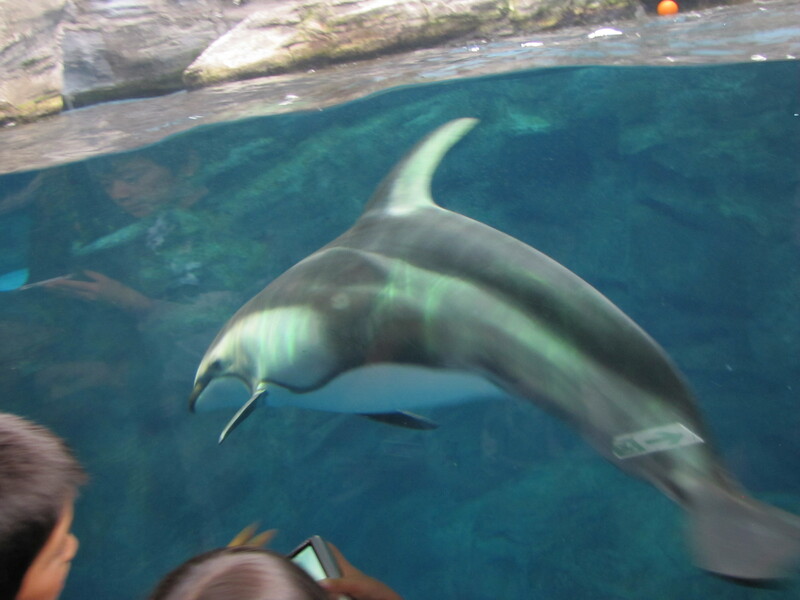 It wasn’t exactly a thrilling international cultural experience, but it’s something fun to do with friends or perhaps younger children, since you don’t need to understand Japanese to enjoy sea life. It’s a bit challenging to get there–you need to switch trains multiple times, so be sure to check the train schedule before you leave. 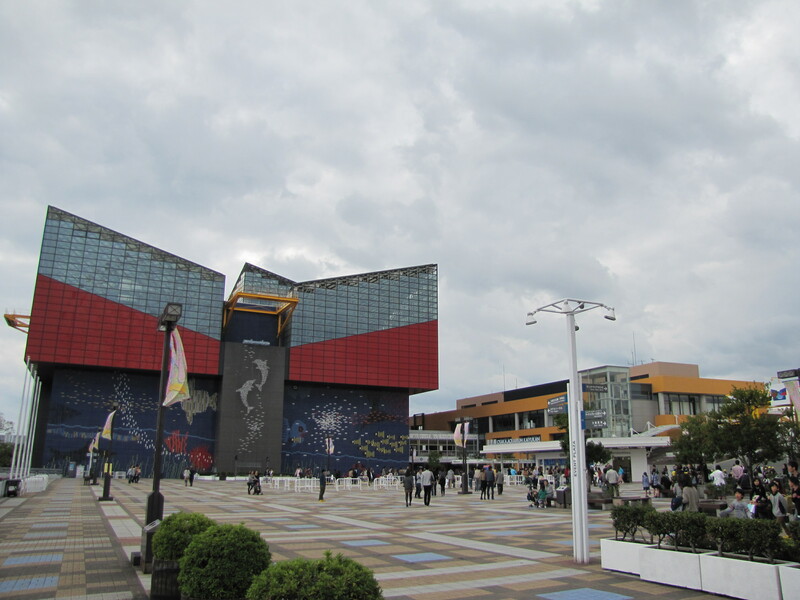 This entry was posted in Uncategorized and tagged Aquarium, Japan, Osaka, Travel. Bookmark the permalink. feed and I am hopikng youu write once more soon!